When the &Stitches crew decided on stumpwork as this month's theme, I knew I wanted to try something a bit non-traditional, but I wasn't sure where to begin. As the month ticked along, though, I realized that it is no longer too early to start Halloween-themed crafting, so I decided to try a wired ghost. 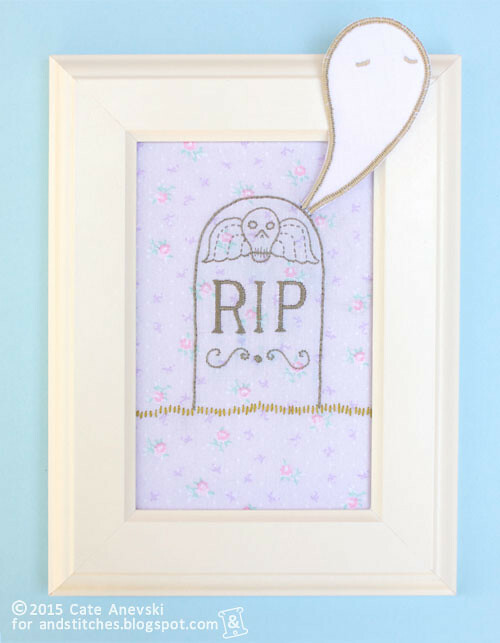 You can download the pattern to create your own stumpwork ghost here. The PDF contains a tutorial for the wired ghost, but you can also check out the great tutorials on this site by Aimee and Sophie to help you along. Have you tried any new-to-you techniques lately? Please share in the &Stitches Flickr group. We'd love to see it!